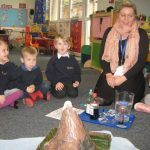 Ormiston Herman Academy – Nursery news! 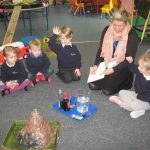 Ormiston Herman Academy > News > Academy news > Nursery news! 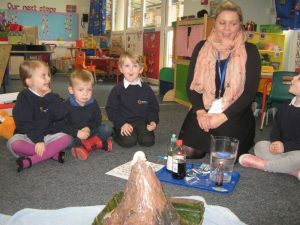 Zienna in Little Learners Nursery kindly brought in her volcano that she had made at home. 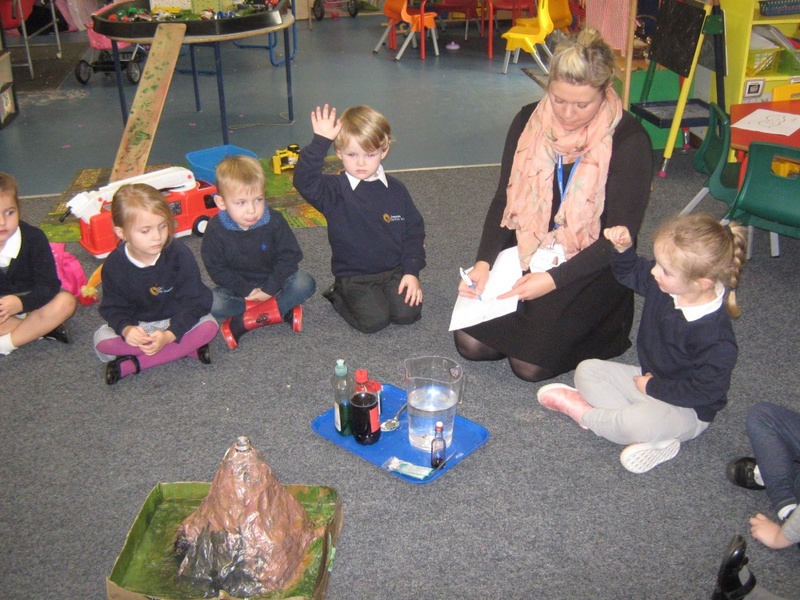 We did a science experiment with it. We used different ingredients to make it look like lava was coming out of the top of it. It exploded like a real volcano. It was so exciting! 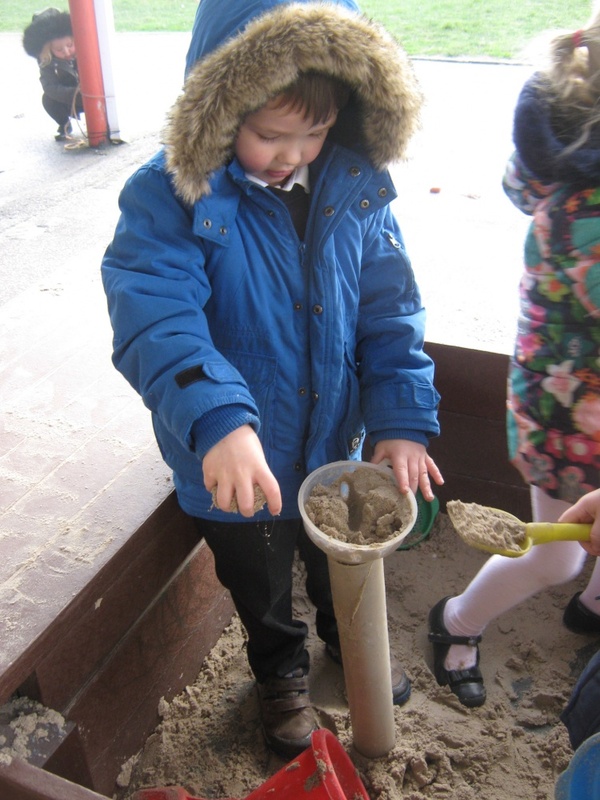 Reuben was so interested in this, he extended his learning by building his own volcano while he was playing outside. 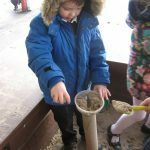 He said “I have made a giant sand volcano. 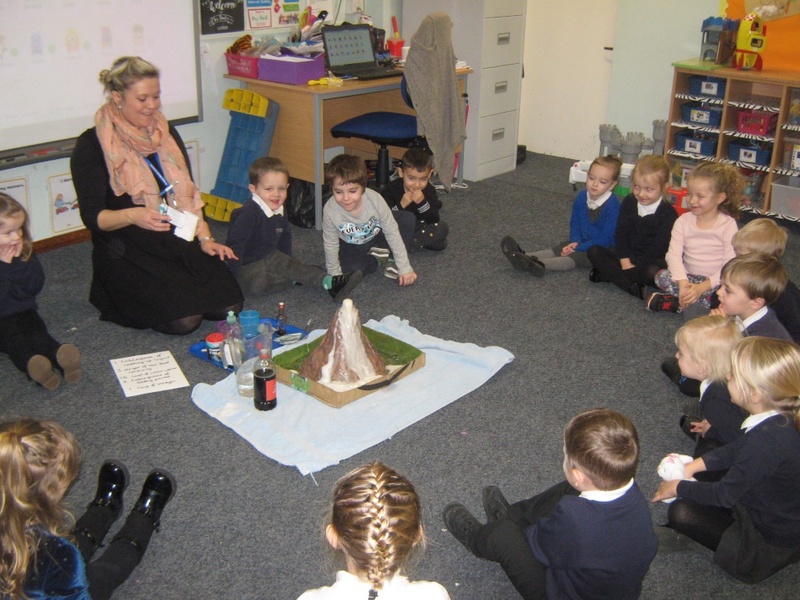 The sand is the lava, it comes up here and boom it erupts”.